God put people in your past to inspire you, instruct you and give you wisdom. There are also things in your past that will betray you; memories that will give you hurt and pain. Remembering is important, but more important is remembering correctly. Memory is a gift you must steward. You can remember wrong things or you can remember right things. Often, we remember what we should forget and we forget what we should remember. Your memory (and it sounds funny) needs to be selective so that you remember those things that inspire you and not remember the things that would demean you. You have to remember well. Certain things will help you if you remember them correctly, yet others will actually cause your spirit to get septic and toxic. Is it the event? No, it’s the way you remember, so I want to encourage you to remember well. “Since we are surrounded by so many examples of faith, we must get rid of everything that slows us down, especially sin that distracts us. We must run the race that lies ahead of us and never give up” (Heb. 12:1). God is saying that He has put certain people into your life — they are like cheerleaders, men and women of faith whom you must never forget. They are from God’s heart to you, so that you can navigate the currents ahead. Remember everything? No! But you must remember correctly; otherwise, you will remember what you should have forgotten and you will forget what you should have remembered. So, we must learn to remember correctly and to remember well. When you do, three things will take place in your life that will help you to navigate your future. Intentionally put it aside, scrape it off, forget it and remove it. This must be intentional, like scraping barnacles off of a ship. Old, bad memories want to attach themselves to the hull of your boat and they will wear you down, be a burden and eventually wear you out. We tend to personalize everything and it becomes a self-fulfilling prophesy, a downward spiral. We blame others, but it is really us, because we haven’t been maintaining our heart. We have allowed the wrong memories and wrong experiences to be brought up again and again. We have to keep culling our heart in order to keep it pure. It is like routine maintenance. It is constantly purifying, getting rid of bad stuff. You can choose what will be hidden in your heart: memories that will either inspire you or depress you. You will not remember everything, so remember well. Learn to be thankful for the good and for the bad because the condition of the pathway or terrain on which you are walking is not important. What is important is whether or not you are gripped with His Hand. When you are, then you can be thankful because everything else is secondary at that point. “In everything give thanks; for this is God’s will for you in Christ Jesus” (1 Thess. 5:18). It is not a response to an event as much as it is the condition of your heart. In everything, give thanks, because that is the will of God. Something bad can become a stepping stone rather than a stumbling block. The will of God is that, in everything, you give thanks because your hand is gripped in His and you will be okay. You have many rights. How are you going to steward them? How you use your rights tells a lot about you. What brought redemption to mankind was not Jesus taking up His rights. He laid them down. He had the right to call a legion of angels in order to destroy the people on Golgotha. He could have brought more angels and annihilated mankind. That was His right. Laying down a right may define you more than anything. That is exactly what Jesus did for us. 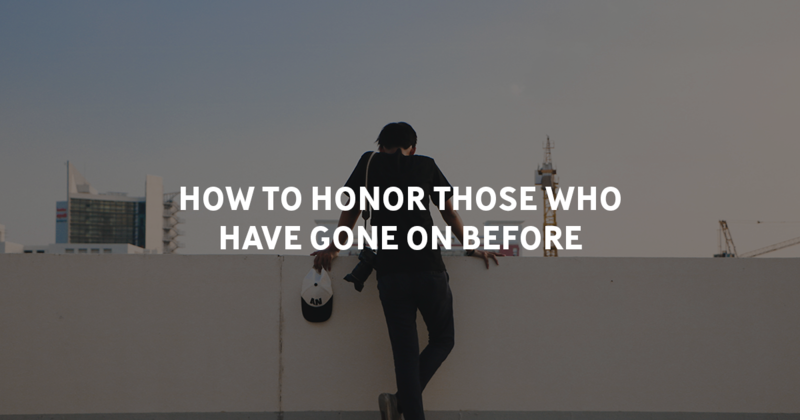 That is one of the reasons we want to honor those who have gone before us, especially those who laid down something so that others might gain. Laying down your right to compromise for temporary gain or profit may result in an eternal influence. When we learn to remember well, then we will appreciate the freedoms that we have and recognize that others, by laying down a life or laying down a right, give us great freedom. It is our responsibility to steward those freedoms well. Sometimes, you will be defined by the rights you lay down, not by those you take up. That is what Jesus did. He laid down His rights in order that we might gain. We aim to provide leadership training for 21st Century Leaders.